Hand-hooked, this Hand-hooked Cheatico Pink/ Cream/ Grey Rug has a soft, plush pile to create a soft floor covering in your home. 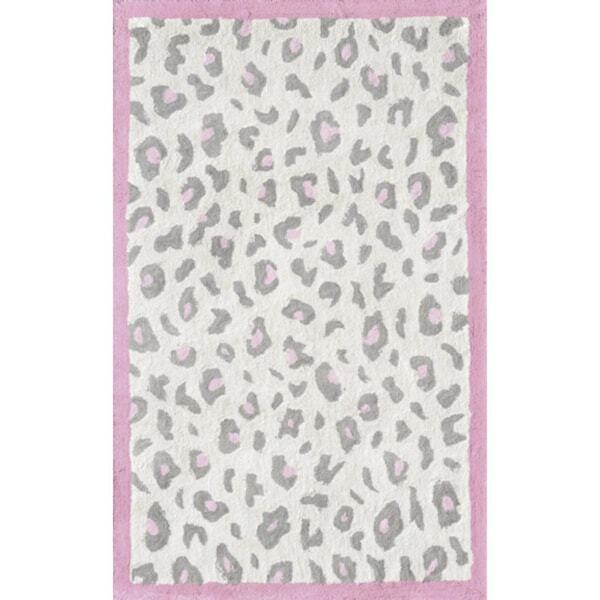 In a rectangular shape, this cotton rug brings liveliness to your interior decor with its cheetah spot design in cream. This collection of nursery room baby rugs are designed in playful colors and patterns. Classic and versatile, they make the perfect blend of style and comfort just like this Cheatico Pink Rug.